• Do not remove the toner cartridge from its package until ready for use. damage caused by using a refilled cartridge. • Store toner cartridges in the same environment as your machine. which color cartridge is low on toner. 1. Press the release button, completely open the front cover. 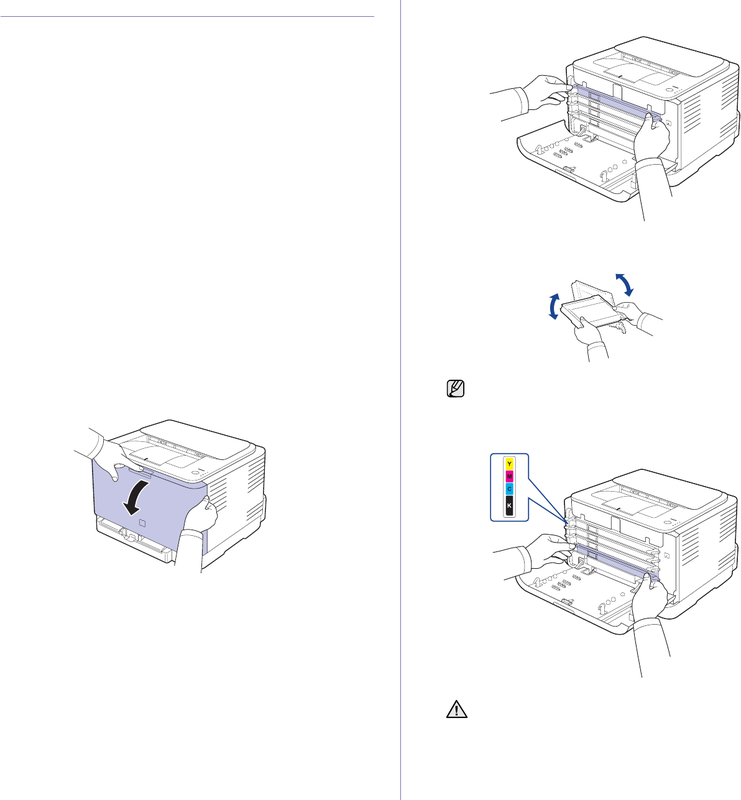 to side to evenly distribute the toner. 4. Slide the toner cartridge back into the machine. 5. Close the front cover. Make sure the cover is securely latched.